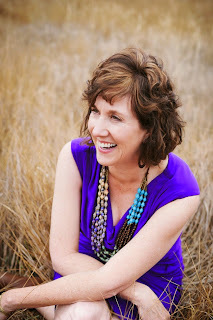 Steps: Beth Vogt is in the House! Beth Vogt is in the House! 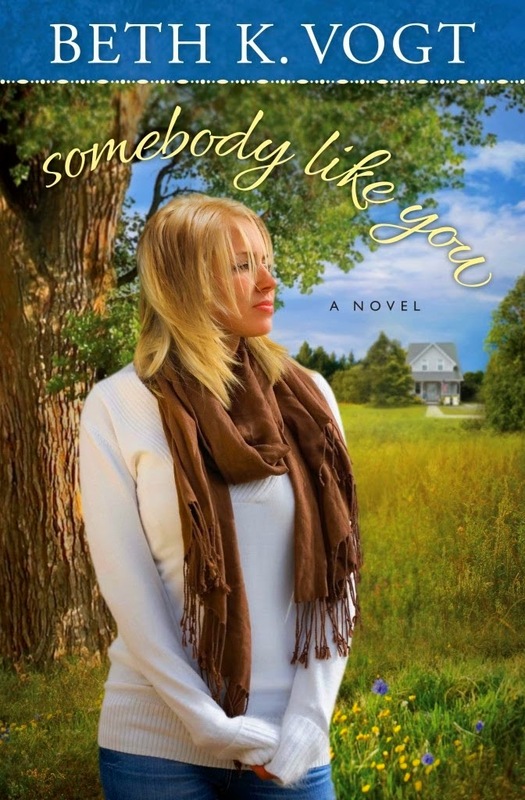 Back in May I had the pleasure of reviewing my friend, Beth Vogt's, newest release: Somebody Like You. It was an amazing book and if you missed that review, you can catch it here. Today Beth is joining us at Steps, and I couldn't be more excited. Beth is one of the biggest encouragers I've met in this writing world, and I truly treasure her as both a friend and fellow writer. I only had a few questions for her, and they focused on keeping with my "Stepping-Up Mondays" theme here on the blog. Beth, I’ve loved your books and the unique message woven into each one. To weave that spiritual thread, you have to stay rooted in God. Yet, I know things have been crazy busy for you between balancing deadlines, book releases, your family…I think we can all relate in our own way. Life seems to move at warp speed some days. And when it picks up speed like that, I find it’s all too easy to let our time with God slip through the cracks. So, what I’m wondering today is, will you share what steps you take to keep yourself close to God when life seems to not have enough hours in the day? "I need to stay close to God if I want to keep my head screwed on straight while I’m living this dream of being a published author. You have to know who you are because there will be opportunities to question yourself – to doubt yourself. Success is circumstantial, and circumstances change day by day in the writing world. I need to anchor myself to the Truth, to who God says I am. I treasure the quiet hours late at night or early in the morning when I’m awake and everyone else is asleep. That’s when I tuck myself into a favorite chair with a cup of tea, my Bible, and a journal. I usually put on some praise and worship music too – I love making playlists on Spotify! I read, journal, pray – and settle my heart and mind before the busy-ness of the day takes over. For the past nine years, I’ve also chosen one word to focus for the year. This year’s word is Think based on Romans 12:2-3 as well as this quote: “We have to trust what God declares about us more than we trust what we think about ourselves.” ~Jonathan Cleveland, pastor"
Oooh! Great quote. Which reminds me, you share quotes weekly on your blog and so many have spoken to me, it's been one of my favorite spots to stop by in the morning and see what you have next. I also love your quiet time routine. I'm a huge praise and worship person. Putting on that music really helps center me, and it ushers me into just a personal place with God--I feel like I'm right at His feet. So when you open your Bible during that time, do you have a favorite Scripture you gravitate to? Even better, what makes it so special to you? "One verse God used to transform my life is “Behold, You desire truth in the innermost being … ” (Psalm 51:6a). As I meditated on that Scripture, God challenged me to face some lies I believed and to accept the truth – and to allow him to heal some heart wounds." And then, just for fun, what big plans do you have for the rest of this summer? Ah, the lazy days of summer! Not! I’m happy to say I’m on deadline – back-to-back deadlines for a novel and a novella for a new Destination Wedding series I’m writing for Howard Books. There’ll be family fun in the midst of the writing, but this summer I’m hanging with imaginary people. LOL. No lazy days over there, huh? But it still sounds like you've got a wonderful summer ahead! The new series sounds great, too. And while we're waiting for it to come out, readers can check out more about Beth and her books at her website: bethvogt.com. There you can read about all four books she's written (all amazing) along with her blog that I mentioned. Short and sweet and always with a point that directs you straight back up to God, her blog is a fun place to visit. Oh, and sign up for her newsletter so you don't miss any news about Beth's upcoming books. Thanks so much for visiting today, Beth! If you have a favorite verse, please share it in the comments below! I met you and Beth for the first time in Dallas at ACFW. You were both so kind to me, and I'll always appreciate you all. Beth's books are amazing. I always look forward to hearing what's on the horizon for Beth. I'm so glad I stopped by today. I hope you both have a great week! Since you asked:I signed a new contract with Howard Books in the spring and am working on a Destination Wedding series. The deadline for my first ms is August 1 … so yes, life is a bit c-r-a-z-y. After that, I start working on the first novella. Will you be at ACFW again this year? I would love to connect with you again! Just have to say CONGRATS again at that:) I cannot wait to read them! Thanks, Susan! Having fun with the storyline!